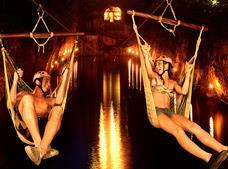 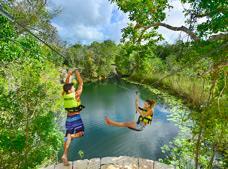 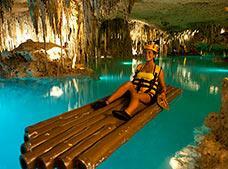 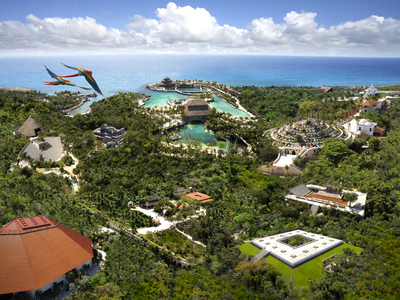 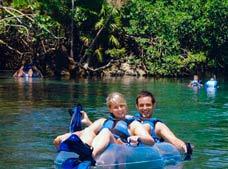 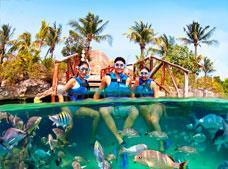 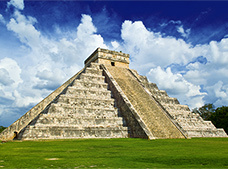 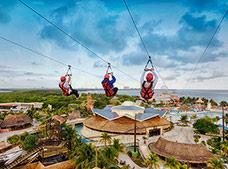 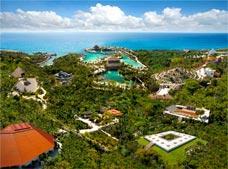 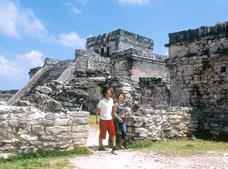 Considered the gateway to the Mayan World, Cancun is the most important tourist destination in the country. 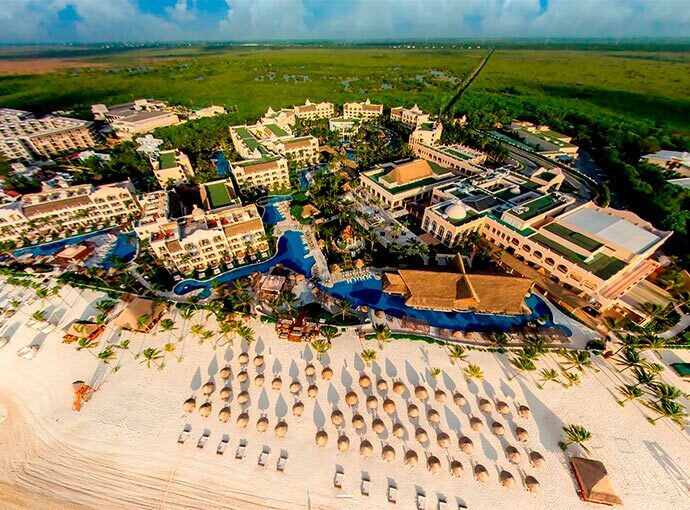 Situated on Mexico's Caribbean coast, it features an incredible location in the northern part of the state of Quintana Roo. 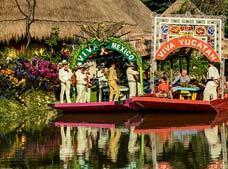 It is blessed with extraordinary natural beauty, and receives millions of national and international tourists each year, ranging from backpackers, spring breakers, and adventure travelers, to couples, families, business travelers, and even the rich and famous who come seeking an exclusive getaway. 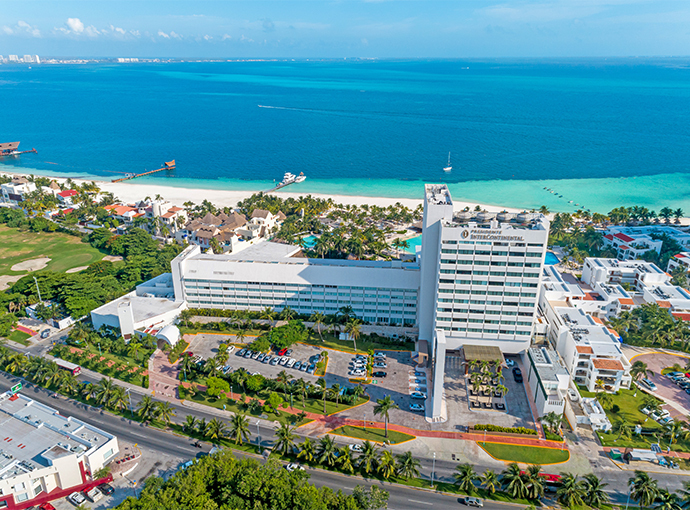 This slice of paradise has lots to offer, including a highly developed hotel and business infrastructure with options for all tastes and budgets. 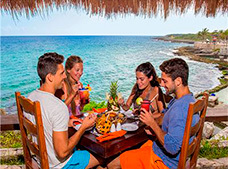 You'll also find first class services, such as shopping malls and marinas, fascinating archeological sites, world class spas, excellent restaurants and nightlife, and warm hospitality, that will make you want to return again and again. 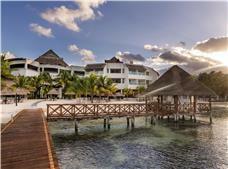 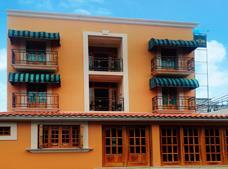 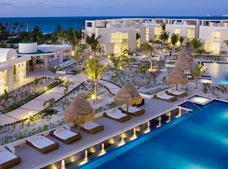 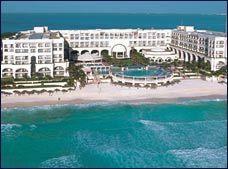 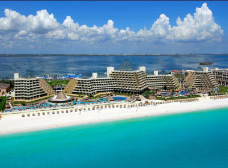 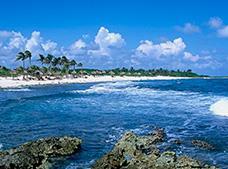 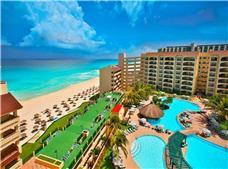 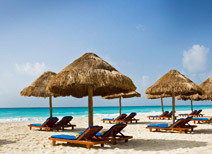 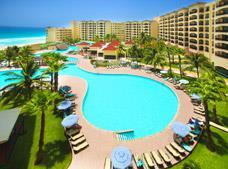 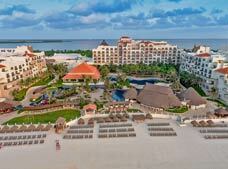 The beaches are without a doubt the hallmark of the Cancun Hotel Zone. 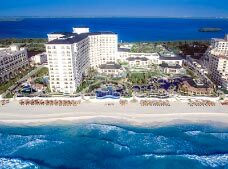 The soft and incredibly white sand always stays cool, and the turquoise waters backing 13 miles of coastline offer the perfect setting for a wide variety of water sports, as well as romantic walks along the beach, sunbathing, and beautiful beachfront weddings. 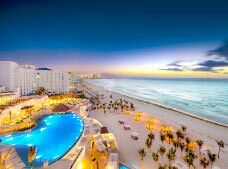 Cancun is also known for its vibrant nightlife. 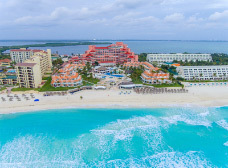 It offers all kinds of clubs, bars, and shows for an unforgettable night of music, bright lights, and entertainment by famous DJs, along with performances by Mexican and international artists. 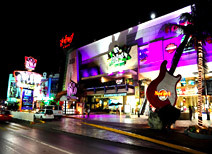 Take advantage of open bars, nighttime bar tours, and many other promotions that the unlimited nightlife options include. 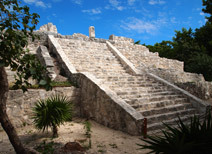 Up until the 1970s, the area that is now Cancun was an island inhabited by a few fishermen and surrounded by the Nichupte Lagoon and the Caribbean Sea in the northeastern part of the Yucatan Peninsula. 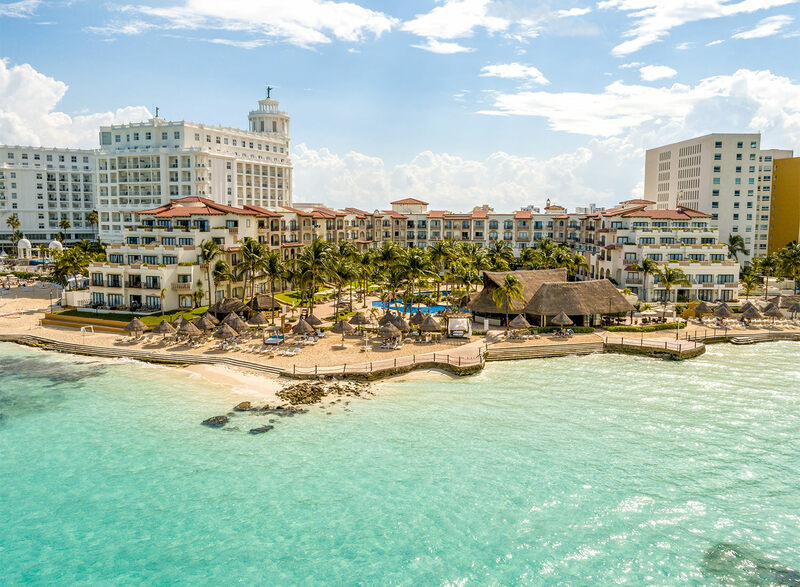 In the early 70s development began on a mega-project that was designed to launch the tourism industry, creating hundreds of direct and indirect jobs, and attracting the investment of large hotel chains. 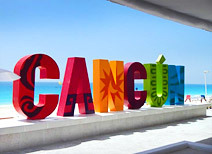 Today, Cancun is the most famous tourist destination in Mexico and few places in the world have the infrastructure, amenities, activities and tours to match. 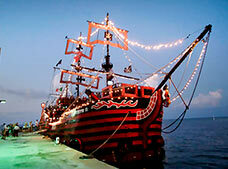 Captain Hook Tour ¡PROMOTION 2X1!